Darcy was born into the rich culture of New Orleans, La., a city filled with colorful historical intrigue and broad creative energy. Darcy’s natural bent to the arts coupled with her love for one of the most romantic cities in the world has been the inspiration and anchor of her artistic, multi-dimension endeavors. Darcy was always compelled by the need to express herself and like her mother’s famous gumbo, her previous expressions included a little bit of everything—art, music, acting, and dance. Max Sawyer meets the young girl who steals his heart, his best friend’s sister. The kiss would never be forgotten, and he knows her by the letters she wrote. 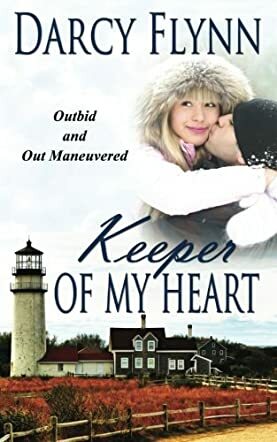 Max restores old historical buildings making them into resorts, and he has just purchased an old historical lighthouse to turn into a hotel, or so Katie thinks. Max takes extreme measures to try and get Katie’s attention, but nothing seems to work. Katie McCullough still has her mystery lighthouse sailor, even though they have never met, except for the kiss, which was given at a time when it was to dark to see what he looked like. Nor did she know his name, but he had her heart. And of course there are the letters they have been writing to each other. Katie has sacrificed everything she has in order to purchase the lighthouse to restore it into a home for her and her Pop. She is fuming that this stranger Max, whoever he is, outbid her, and the tricks she throws his way are unbelievable. She goes to extremes to make Max pay for how he hurt her.